Ellen Rogin, CPA, CFP® is a financial advisor, author and nationally-known expert on living a life of success and prosperity. 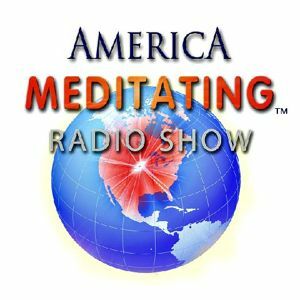 Ellen joins Sister Jenna on the America Meditating Radio Show to discuss how to make prosperity a habit. Chock full of “left-brain” credentials (MBA, CPA, Certified Financial Planner™), Ellen also walks on the “right” side, balancing values, big picture ... Más informaciones ideas, meditation and a sense of humor with all her professional training. She is as comfortable talking about the power of compound interest as she is the power of belief. Ellen shares her innovative approach in her book “Great with Money: 6 Steps to Lifetime Success and Prosperity.” Her much anticipated next book “Picture Your Prosperity: Smart Money Moves to Turn Your Vision into Reality” will be released in January, 2015. Visit her website at www.ellenrogin.com and www.myprosperitygift.com 7 free audios on the steps of the Prosperity Circle, as well as Ellen’s Prosperity Flow Meditation.